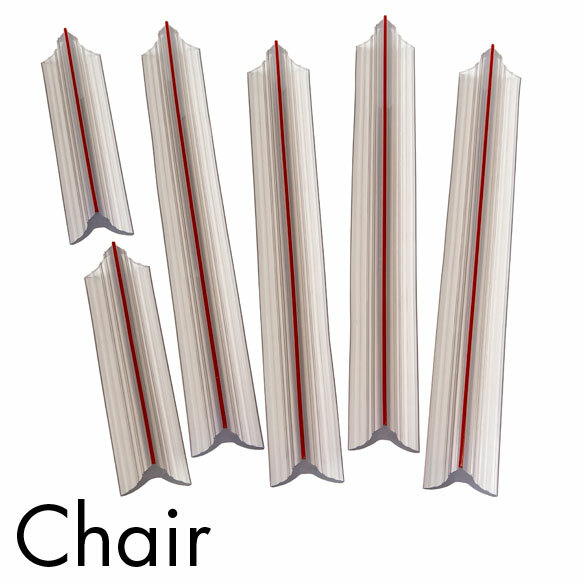 Chair (includes four 11 3/4” and two 6” strips). 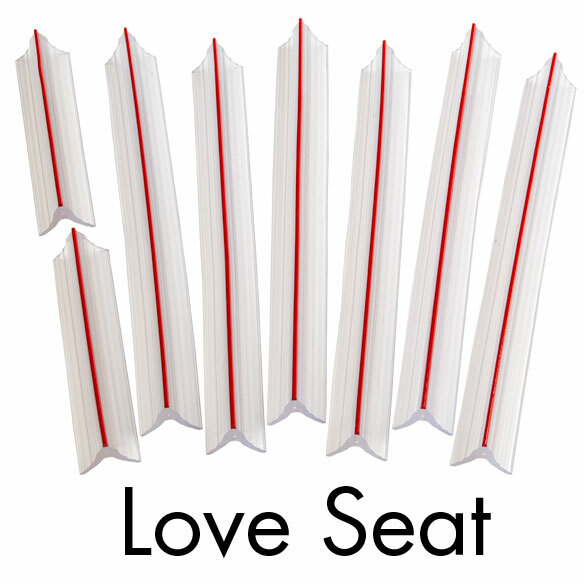 Loveseat (six 11 3/4” and two 6” strips). 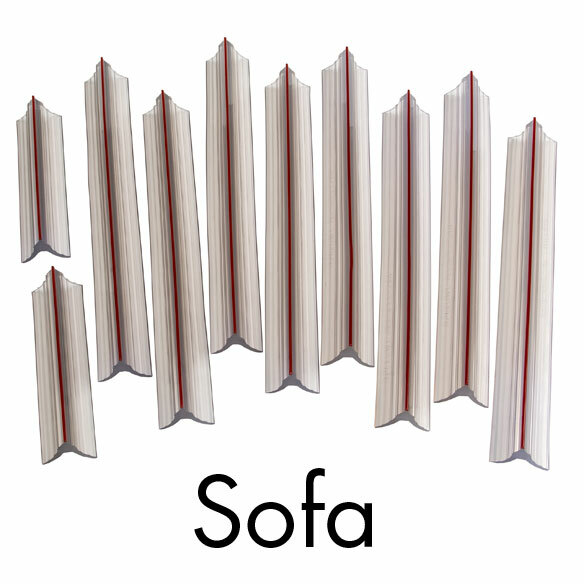 Sofa (eight 11 3/4” and two 6” strips). I have a leather recliner that the leather was looking bad. I purchased a cover but every time I got up the cover would not stay. So I saw this product and figured what the heck. I'm so happy I purchased this. Works great. They keep the sofa cover securely tucked in with no problems. These seem like a really good idea, but I couldn't get them to stay put. Just bought a slipcover so hoping the grips will keep it in place. I want to keep my chair and sofa in place when I sit down. I just bought new slipcovers and I have to keep retucking them. These grippers looked like they would solve the problem so I'm giving them a try. To help keep mycoversin place. Because I bought the recliner cover, I wanted to make sure that it stayed in place on the seat and arms. It has a back anchor. Need to keep sofa slipcover from slipping around. I was hoping it would keep my slipcover in place bit it does not work. Keep slipcover from untucking at back and sides of loveseat. To hold the recliner cover in place so it doesn't move around. Are you out of the ones for sofas? BEST ANSWER: Thank you for your question. The sofa size are currently available for purchase. We hope this information will be of help to you.